In the plot lines of the HBO series Deadwood, the character of E. B. Farnum is portrayed by actor William Sanderson as a conniving, spineless pawn to the vile and manipulative Al Swearengen, as well as a poorly viewed member of the community. The real Farnum, however, was a much more respected citizen in the rip-roaring early days of Deadwood. Very little is known about Farnum before he arrived in Deadwood in the early summer of 1876. According to research done by the staff at the Adams Museum, E.B. Farnum was born in 1826 in Massachusetts. Before coming to Deadwood, he and his wife Mary lived in Wisconsin with their three children: Sylvia, Edward, and Lyde. In addition to securing a home site on lower Main Street, Farnum purchased a number of well-located commercial lots up the street, and started several businesses. These lots were in the middle of what would become the heart of early Main Street. Farnum was involved in numerous ventures including being a partner in the building of the Deadwood to Centennial Valley toll road. The toll road allowed a more reliable way for goods and supplies from Bismarck and Sidney to reach the booming mining camps of the northern Hills. He also was a member of the group of businessmen who established the initial value of gold dust as an instrument of commerce at $16 an ounce, invested in several Deadwood area mining ventures, and was elected as Deadwood’s first mayor in August of 1876. As mayor, Farnum along with the town’s commissioners drew up the first city charter in October of 1876, which established the town limits, defined the town offices, and set the mayor’s salary at $100 per year, the marshal’s at $150 per month, and the city clerk’s at $75 per month. Fees to fund the town were raised with licenses issued to the town’s businesses. When General George Crook and a group of his troops visited Deadwood in September 1876, Farnum and other leaders took note of the safety that the troops’ presence brought to the region. Farnum worked to secure some measure of protection by the army by drafting a letter to Crook thanking him for bringing troops to the Black Hills, and enclosing a community petition requesting that the army build a fort near the Black Hills to protect Deadwood from “the murdering bands of Indians that surround us.” Farnum also worked to obtain official recognition of the Hills by the government of Dakota Territory, which occurred in 1877. Farnum also served as the head of the school board that established the first school in Deadwood, served as Justice of the Peace, and acted as judge in numerous trials for people captured by vigilantes. Because the Territorial government did not initially recognize his courtroom, detainees could not be sentenced to any prison time. Farnum only gave out two sentences – freedom or hanging. Horse thieves and cattle rustlers were hanged. Freedom was not necessarily a blessing, especially if the local vigilantes thought the sentence unjust. 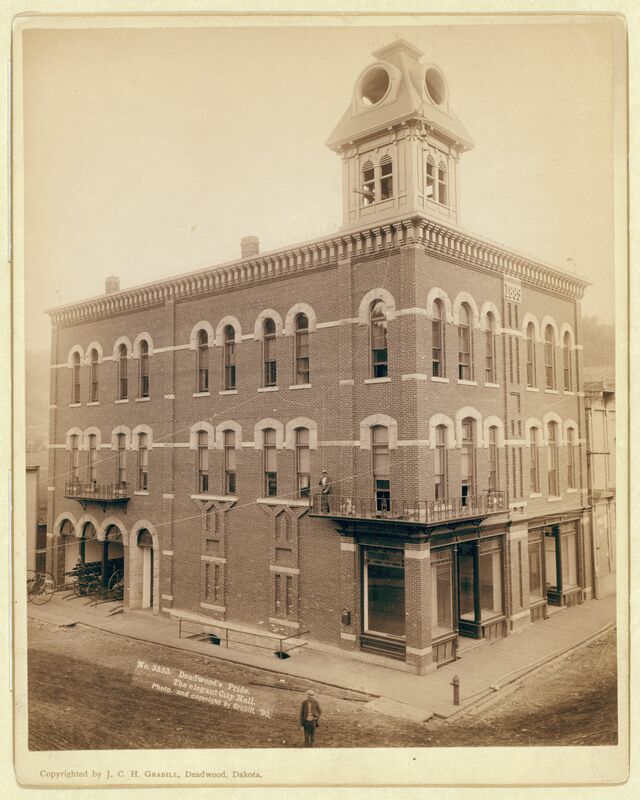 The great fire in September of 1879 destroyed the majority of downtown Deadwood, as well as many of the records regarding the years of Farnum’s administration in the city. The fire is believed to have bankrupted Farnum, and he and his family apparently left the area. The 1880 Federal Census did not list Farnum as a resident of Deadwood, and his ultimate fate is currently unknown to historians and researchers.